University of California Davis scientists, Simon Cherry and Ramsey Badawi are responsible for this machine that is being called ‘Explorer’. The scanner is capable of capturing 3D image of the entire human body at once by combining the two familiar technologies PET and CT.
the UC Davis scientists behind the scanner released a video look at Explorer’s first human scans this week. Explorer is said to be much faster than the normal PET scan. 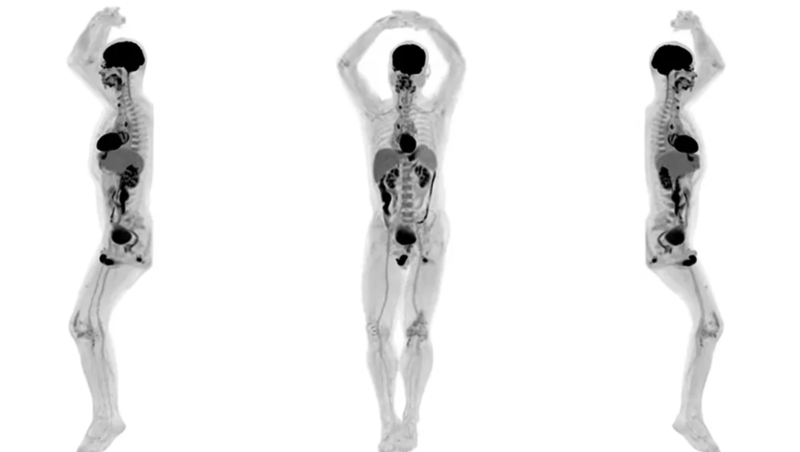 It is able to turn out a full-body diagnostic scan in under <30 seconds. Machine can be used to track disease progression as well such as various stages of Cancer etc. The following video shows the machine’s ability to trace a glucose injection into a leg vein. The first ever Explorer scanner will be used in Sacramento CA for research projects and other studies starting 2019 for now. But one thing is certain that the world of Image Diagnostics is going to be quite advanced in the coming years and hopefully early detection and disease tracking will saving lives and make Doctors’ jobs easier.